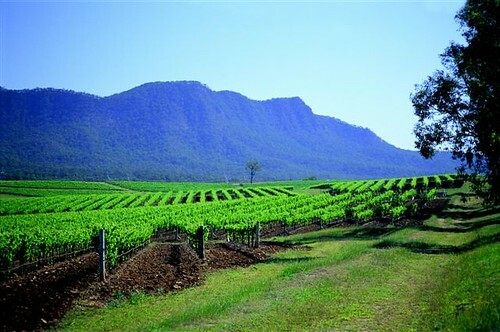 The Hunter Valley Wine Region has a great deal to offer. The cellar door tasting activities offered by wine vineyards in the region tops the list. The wonderful lodging and relaxation provided by the wonderful views and calm atmosphere also attract many visitors. There are enough good options to keep you busy for many visits. Scarborough wine company in Pokolbin offers great wine, scenery and service. James Halliday awarded Tyrell’s Vineyards, also both located in Pokolbin, as Winery of the Year in his 2010 Wine Companion. Margan Cellar Door in Broke Fordwich and the Briar Ridge Vineyard located in Mount View are great options outside Pokolbin. The scenery and great food and drink offer a great escape for a weekend, or longer. There are so may options it is hard to choose. Arranged tours let you leave the logistics to someone else and concentrate on relaxing and quenching your pallet. Hunter Valley Cadillacs and Morpeth Horse Carriage are good options with varying modes of transport (as the names hint) to suit your mood. Two Fat Blokes Gourmet Tours offer private luxury tours for 2 to 10 guests. They only started in 2008 but already have legions of fans. This entry was posted in New South Wales and tagged food, New South Wales, outdoors, recreation, tours. Bookmark the permalink.